We are all aware that our solar system has 9 planets. We are on earth, so we do have a lot of information about earth. Due to the efforts put by NASA and ISRO to find out the life on Mars, we have been gaining some information about planet Mars. So do you have any information regarding other planets in our Solar system? Let’s have a look on few facts about the planet Uranus. Uranus is the 7th planet of our solar system. Its 3rd largest in planetary radius and 4th largest in planetary mass. 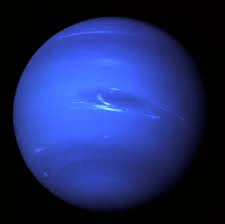 Uranus is similar to composition to that of planet Neptune. Uranus orbits the sun once in 84 earth years. Earth has only one natural satellite, Moon, while Uranus has 27 natural satellites. Uranus is visible to our eyes and it is the first planet that was discovered with the help of a telescope. Uranus was discovered by Sir William Herschel on March 13, 1781. Uranus is too dim to have been seen by the naked eye. At first Herschel thought it was a comet, but several years of analysis, he confirmed it to be a planet. The name, “Uranus” comes from the ancient Greek god Ouranos, the earliest supreme Greek god of the heavens whose sons were the Giants and Titans. Herschel tried to name the planet as “Georgian Sidus”. The name Uranus was suggested by well-known astronomer Johann Bode. The planet rotates in opposite of the way Earth and most other planets rotate. Uranus is referred as Ice Planet, as most of its atmosphere has hydrogen with mixed in helium. From the time Uranus was first observed, scientists noticed that certain points in its orbit the planet was being pulled farther out into space. By making mathematical analysis based on observations from Uranus, two astronomers, Adams and Le Verrier, identified the location of the other planet. If you weighed 150 pounds on Earth then you would weigh 136 pounds on Uranus because its gravity is only 8.87 m/s2 or 29.1 ft/s2. Uranus has a total of twenty-seven moons, most of which are named after characters in A Midsummer Night’s Dream by Shakespeare. The five major moons are called Titania, Oberon, Miranda, Ariel, and Umbriel. Uranus has the coldest temperature of any planet. With a minimum temperature of -224°C. Uranus is nearly the coldest planet in the solar system. During some periods in its orbit one of its poles points directly at the sun and gets about 42 years of sunlight. The rest of the time the other part is in darkness. Voyager 2 was the only one spacecraft that has flown by Uranus in the year 1986.